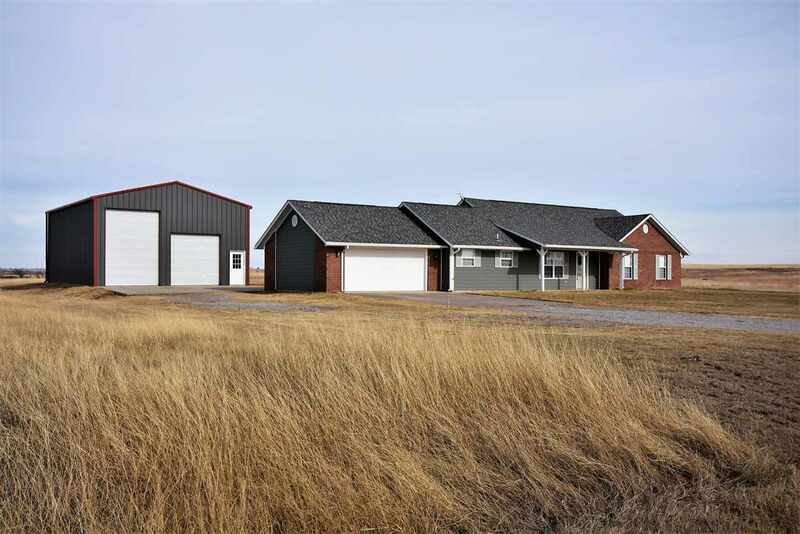 Quiet rural setting for this clean and tidy home on 3/4 acre lot. This approx. 1743 sq. ft. home offers 4 bedrooms with 2.5 baths and is move in ready. Comes with blinds, all appliances including washer and dryer, and storm cellar. Nice 30&apos; x 40&apos; shop with concrete floor, electricity, and is tall enough for a large RV. Call Julie Bridges, listing agent with RE/MAX Professionals at 580-695-3883 with questions or to schedule a showing! Dining Room Size: 11&apos;6" X 8&apos;2"
Kitchen Size: 14&apos;0" X 11&apos;6"
Living Room Size: 18&apos;4" X 16&apos;4"
Master Bedroom Size: 14&apos;4" X 13&apos;0"
Utility Room Size: 7&apos;10" X 6&apos;3"